Quantum Technology Science’s Vector Series intrusion detection system is now available for Milestone VMS users upgrading to XProtect 2017 R1. 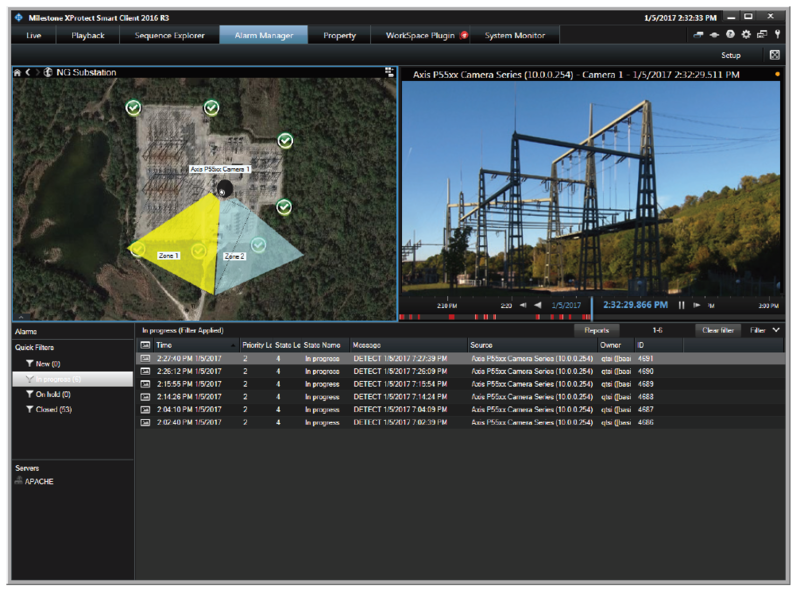 Vector directly integrates into the Milestone VMS XProtect Alarm Manager console to provide advanced alert messaging and initiate deterrence devices and slewing of cameras to the point of the intrusion. Immediately available for new customers, or as a seamless upgrade without a software update required from Quantum, simple integration eases installation or upgrading from 2016 R3 editions. It uses the existing configuration files to easily upgrade with minimal configuration changes to minimize any gaps in security awareness during the transition. A Smart Client enhancement, Quantum’s Vector Series perimeter intrusion detection system detects, classifies and alerts to threats beyond line-of-sight detection to include pedestrians, vehicles and gunshots. “The power of Vector series lies in its ability to detect and classify intrusion without visual line of sight. With integrations to trusted VMS solutions such as Milestone XProtect, we’re excited to be driving earlier warning with actionable intelligence, where threats can be identified and more effectively deterred or neutralized before doing harm,” remarked Kevin Mikalsen, director of product marketing, with Quantum Technology Sciences, Inc. The Vector Series alert communications are XML messages, which minimize network bandwidth. The system can message to enable cameras to be slewed and begin recording only when there is an event – lessening the network traffic and storage requirements of the data feeds. Flexible integration with XProtect community members enables a tightly integrated and more proactive deterrence-based approach to security. Available for Milestone’s Advanced VMS products XProtect Corporate, XProtect Expert, Quantum’s Vector Series will be a featured technology pod with Milestone at the ASIS International 63rd Annual Conference in Dallas, Texas.